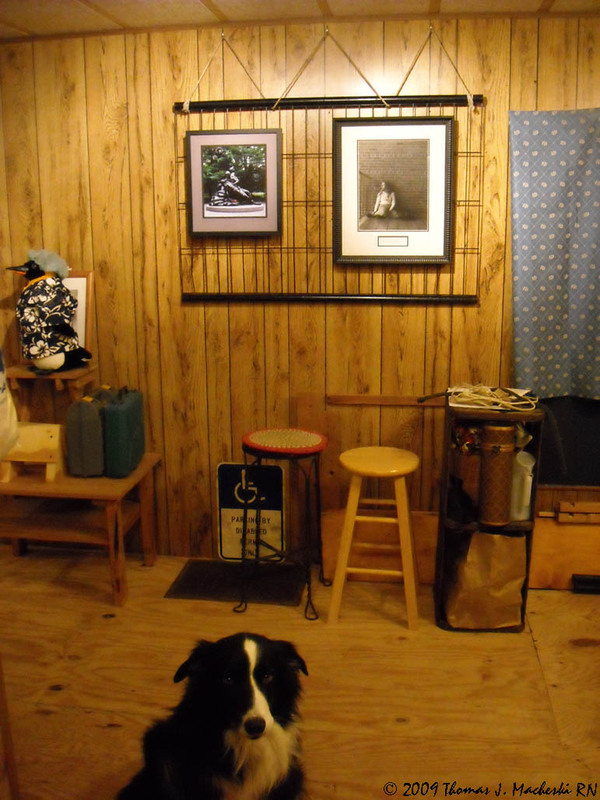 Today's Experiment - - Ramblings of Mad Shutterbug & the Border Collie Bros. Comments will be screened so as not to influence follow-on comments, for 24 - 36 hours (depending on my work schedule heh heh), and will then be opened for all. This is Mrboss's room. He takes pictures. Sometiems they are of me and sometimes my brothers. I'm his favorite. These are pictures of a lady. They are pretty good pictures, but mrboss used all my string. See the penguin over there. He's a pretty hip penguin and went to hawaii once. I don't know where that is but you get there in a flying growlybeast. Its like the skygrumblers but different. I don like skygrumblers. He stole my showerhat, but its ok because I don't like baffs. Hosegame is ok though. Well its time to go check on the fence. That's my job. Nice frame job, boss. No, really, I mean it. Now open the door, please. Need to pee. I definitely see that a penguin has been raiding Fat Fred's closet, and Squrrl seems unhappy about it. Hey, that's ME! How'd I get stuck in here? Where's Boss? I hate it when he sneaks out the door and doesn't take me.